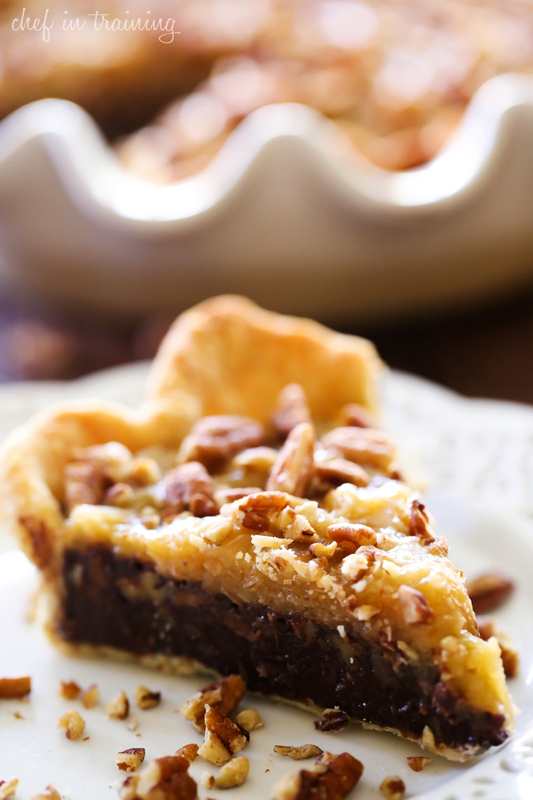 German Chocolate Pie… silky smooth chocolate, coconut pecan topping come together to make one incredible pie! German Chocolate themed treats are one of my kind of desserts. I guess the name “german” chocolate comes from the person who came up with the initial recipe idea… and might I say they are truly brilliant! As pie season is fast approaching, I came across this one from Taste of Home and have fallen IN LOVE! This has all my loves wrapped up into one unforgettable, jaw dropping, mouthwatering delectable dessert! 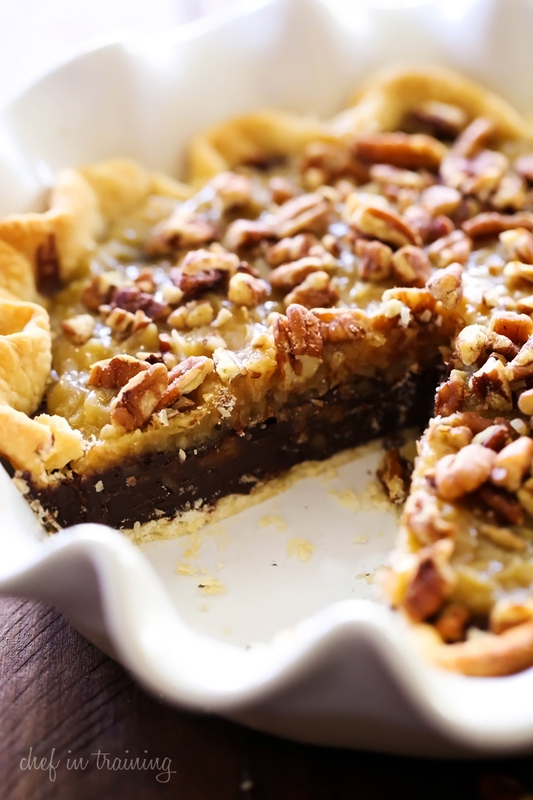 This pie is definitely a MUST MAKE! If you love coconut, chocolate and/or pecans, then you need to give this a go! You won’t be disappointed! 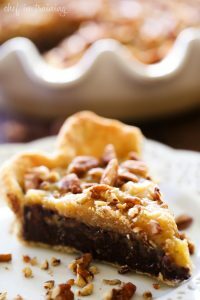 German Chocolate Pie... silky smooth chocolate, coconut pecan topping come together to make one incredible pie! In a microwavable safe bowl, combine chocolates and melt until you can smoothly whisk them together. Add milk, egg yolks and vanilla and whisk again. Stir in pecans and pour into pre baked pie crust. Cool on a wire rack for 45 minutes. On the stove in a medium pan combine brown sugar, cream and butter. Bring to a boil land stir for about 3 minutes until the sugar I melted. Remove from heat. In a small bowl beat 2 egg yolks. Temper the eggs by adding a small amount of the sugar mixture, then add the egg mixture to the sugar mixture and return to the stove. Cook for 2 minutes or until it thickens. Remove from heat and stir in coconut and vanilla. Top with the remaining ¼ cup of pecans. Refrigerate 4 hours until chilled. Well, you've gone and done it again! I can't *wait* for my deployment to be over with to Gain Back The Weight I Have Lost... and try out your amazing recipes! Thank you for the highlight of my every morning. I sooo look forward to your recipes! This pie looks sooooooo super delicious!! It's been too long since I had German Chocolate Pie. Thanks for the yummy recipe!! Just wanted to make sure of the rest of the recipe. Once the topping is cooked, you pour it over the cooled pie and then refrigerate for 4 hours? Correct? Does the topping need to cool down before pouring it over the chocolate? Thanks. I do want to make this for Thanksgiving! !